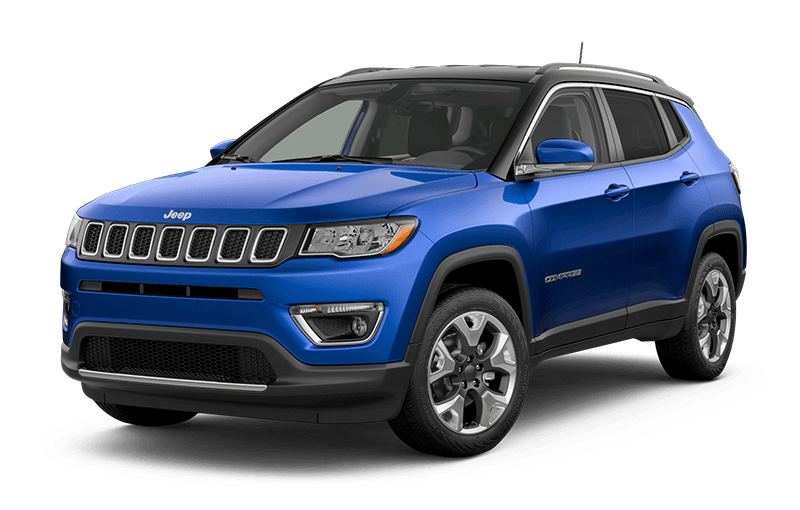 The 2018 Jeep® Compass Limited redefines the cabin experience by being both sophisticated and capable with its quality materials, premium design, and high-tech features. 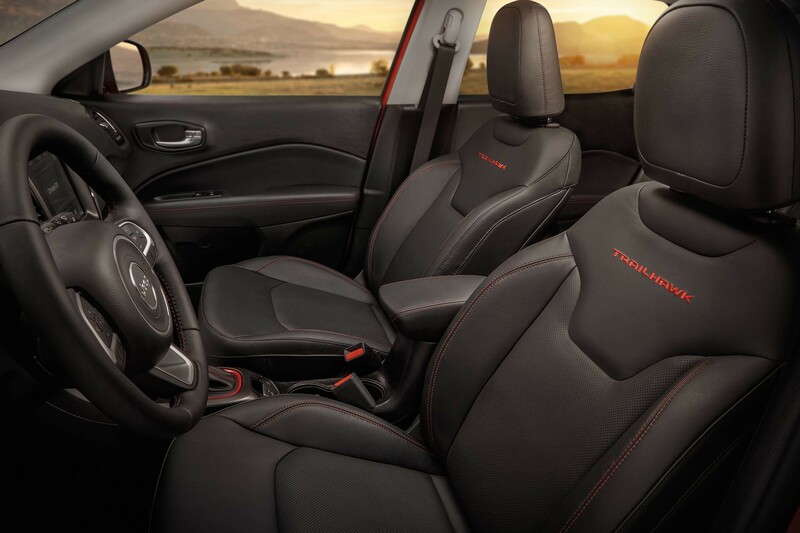 The 2018 Jeep® Compass Trailhawk® creates a powerful look with forward-thinking design and innovative interior features. 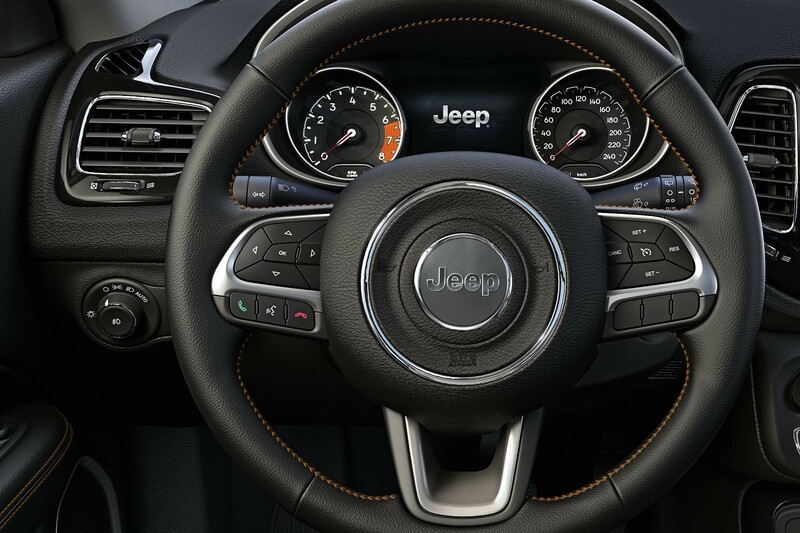 The available heated leather-wrapped steering wheel keeps hands warm on cold winter mornings. 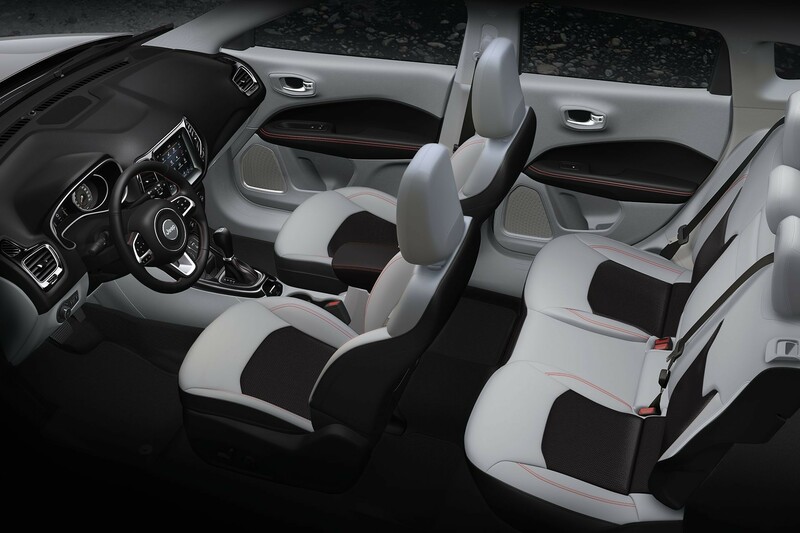 The 2018 Compass can seat up to 5 comfortably with impressive rear-seat legroom. 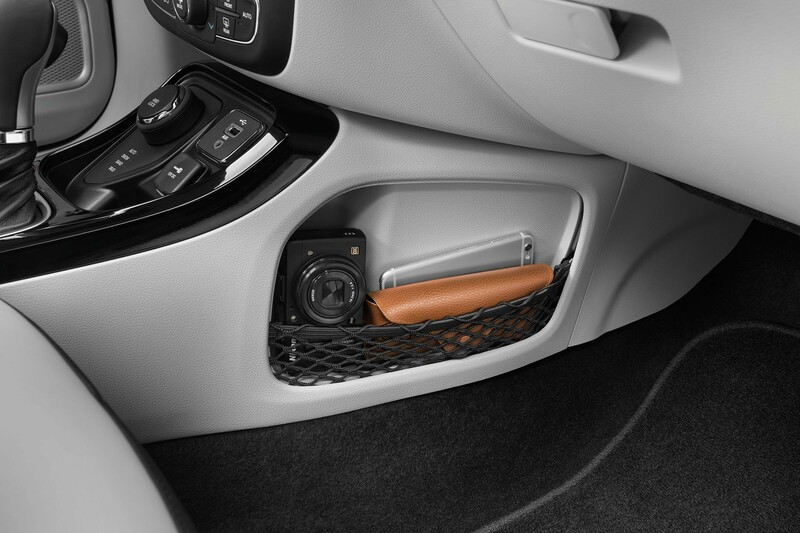 Stash smaller items in the convenient and stylsh mesh side pocket in the front passenger seat footwell. 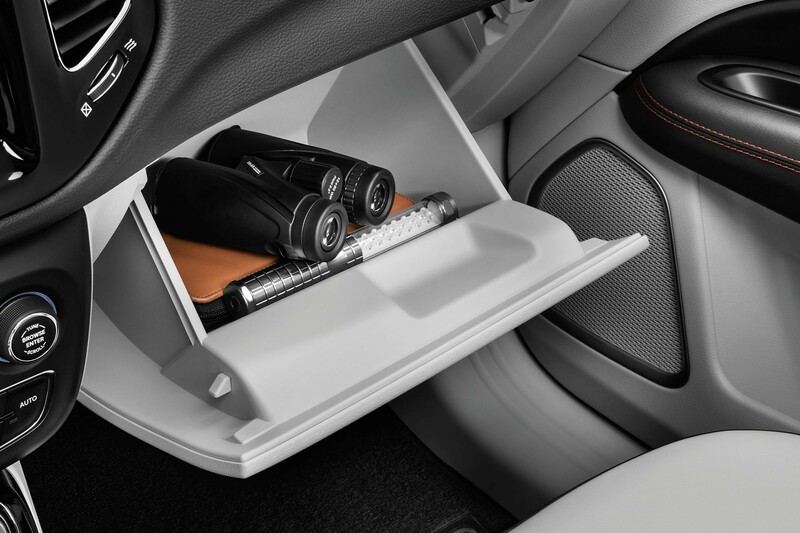 Keep your more valuable items hidden from view with the standard locking glove box. 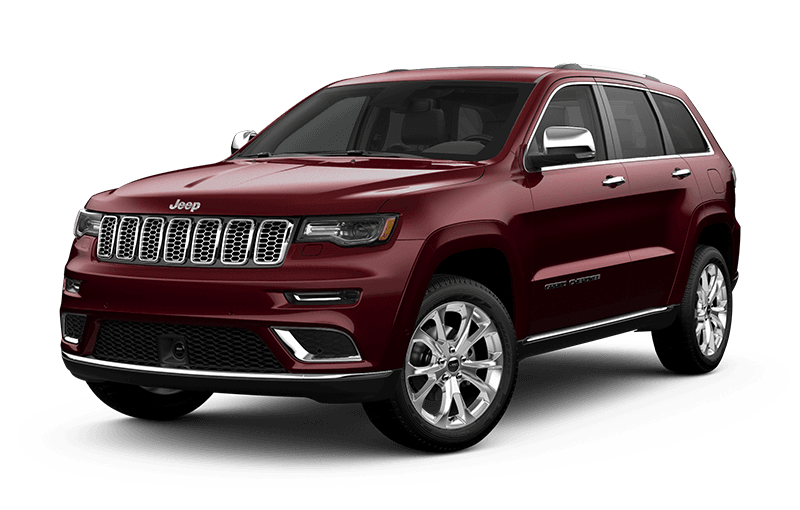 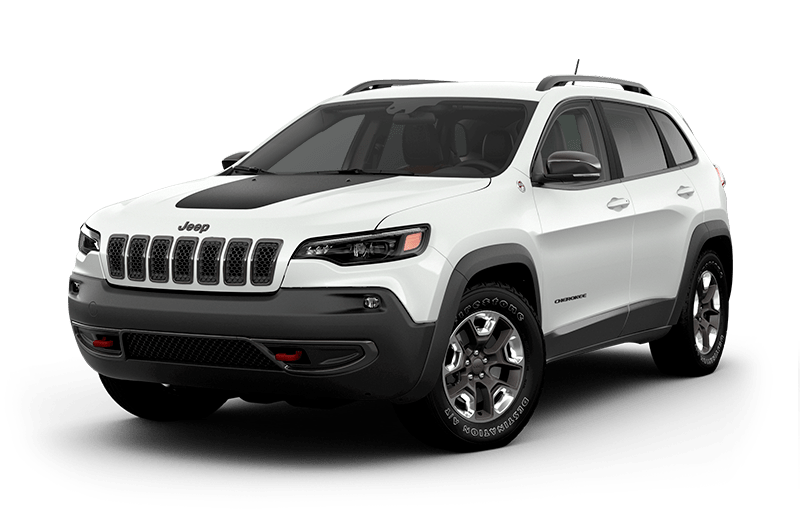 The Compass Trailhawk® with Leather Interior Group features cutting-edge technology and striking design touches for an exceptional cabin experience. 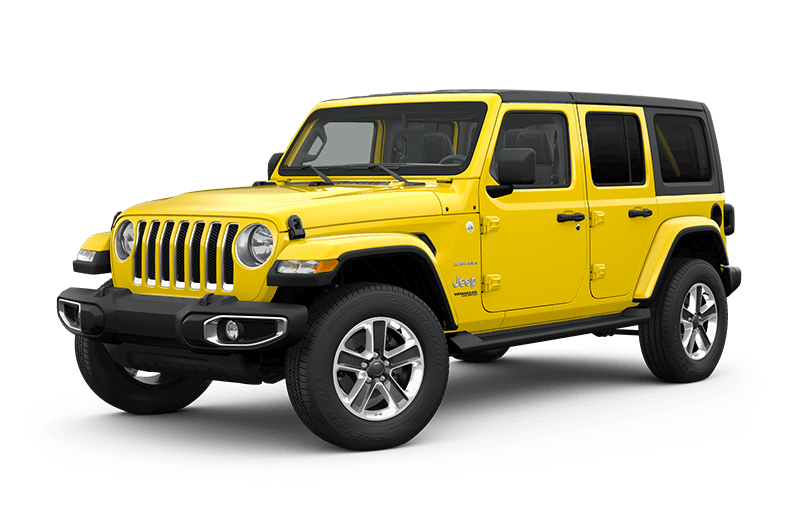 Bring, store and haul more. 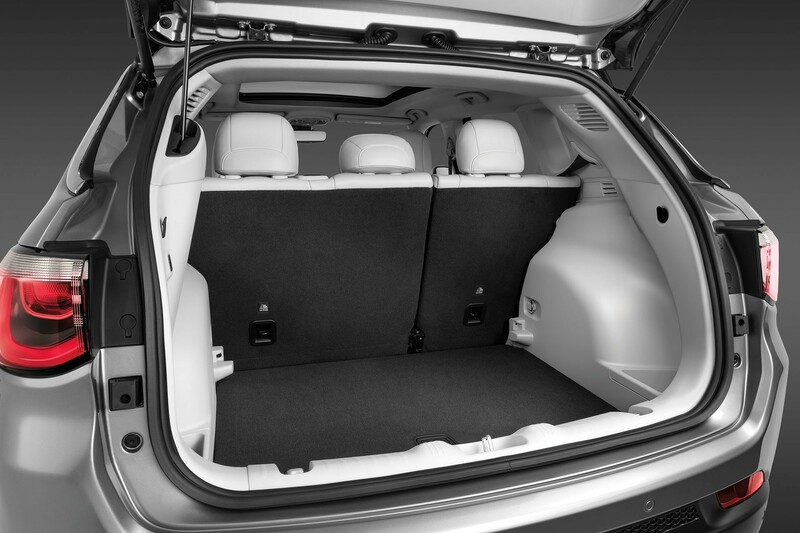 An available adjustable cargo floor, folding rear seats and available power liftgate make space to fit your lifestyle. 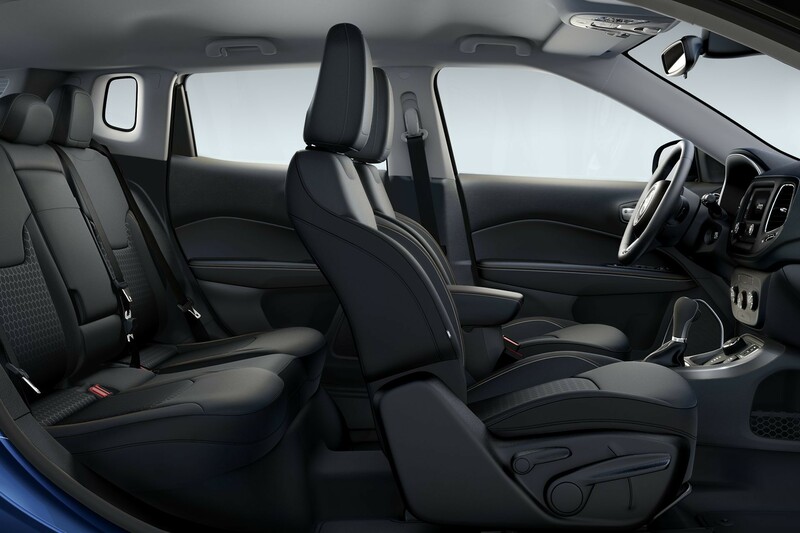 The stylish and spacious Compass interior can comfortably seat up to 5 and features the latest connectivity and safety technologies.